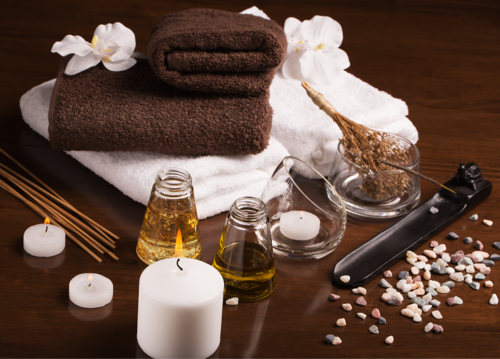 We offer a variety of massage therapy options to suit your pain and stress management needs! A traditional table massage with pure, organic jojoba oil. Our therapists are trained in a variety of modalities including deep tissue, myofascial release, Swedish, neuromuscular therapy, and sports massage. We will listen to you and design the treatment to suit your needs. Available with or without complementary aromatherapy. Massage Therapy is proven to be an effective method of pain management for both acute and chronic conditions. Allow our trained massage therapists to develop a treatment protocol for your specific condition. Our specialties include nonspecific low back pain, shoulder pain and scapular capsulitis, tendonitis, neck pain, TMJ, sciatica, and plantar fasciitis, insomnia and stress management. Lulyani - Dynamic Thai Massage - Perpetual Movement Poetry from David Lulyani on Vimeo. A long, luxurious, full body experience. Thai massage takes your full body through its entire range of motion with dozens of positions and techniques performed on a mat on the floor, and will leave you feeling relaxed, rejuvenated and revitalized. Lotus Temple is a place of sanctuary. You take care of so many people. Let us Take care of you. *embedded video presents material owned and copyrighted by David Lulyani, not Ross Duncan, LMBT. Much thanks to David Lulyani for sharing such beautiful work with the world.